Leveraging 2 GB of internal RAM in tandem with 16 GB of onboard memory, this Samsung Galaxy has the power it needs to drive impressive technology such as S-Voice, the Samsung virtual personal assistant; S Beam, a laser-based method for directly sharing content with another Samsung Galaxy phone; and AllShare Play, which allows users to display their phone media content on an HDTV or computer. 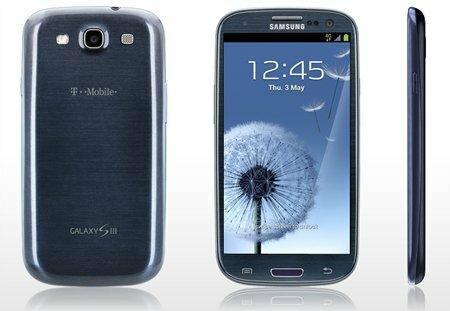 This Samsung Galaxy S III cell phone also comes standard with a rear-mounted 8 MP camera, and a front-facing video-enabled camera for conference calls. Photos snapped on this camera can be automatically shared with up to five friends thanks to the Share Shot feature on this smartphone. This Samsung Galaxy also can understand a range of human gestures and initiate commands and actions at the sweep of a hand or simply by a user placing this smartphone next to his or her ear, making it a powerful and intelligent communication tool.